In January, 2014 six aspiring engineers, programmers, and mechanics came together to form the Framingham High School Robotics Team. Daniel, Evan, Eric, Chris, Gus, and Jared (above from left to right) quickly familiarized themselves with the parts and built a robot, just in time for their first VEX competition. They were matched up against 50 other seasoned teams from around Massachusetts. Despite facing other teams that had been competing for months (or years) already, the dedicated FHS team was able to walk away with the programming skills award, landing the team a spot in the New England High School VEX Championship. Their improved programming score at that competition qualified them for the VEX High School World Championship in April, 2014. In the 2014-2015 VEX competition year, the Robotics Club grew into five teams: 9421 – Triple Threat, 9421G – Full Metal, 9421Y – Y-KNot, 9421C – FHS Robotics C, and 9421X – FHS Robotics X. Of these, four made it to the Southern New England Regional Championship and one, 9421X, qualified to return to the World Championship in April 2015! Please Help Us Get to Louisville in 2015! Help the FHS team travel to the World Championship again, as well as purchase more supplies to expand the number of teams we can field. Please contact Faculty adviser Peter Erbland at perbland@framingham.k12.ma.us for specifics of how you can help and how we can acknowledge your support. If you’d like to send a check, there are three ways to participate. You may also click here and make a donation with a credit card. This will result in a fee and reduce your donation. We would prefer a check. You may also drop off cash at the high school main office (please do not mail cash). Again, be sure to indicate that it is for the Robotics Club. 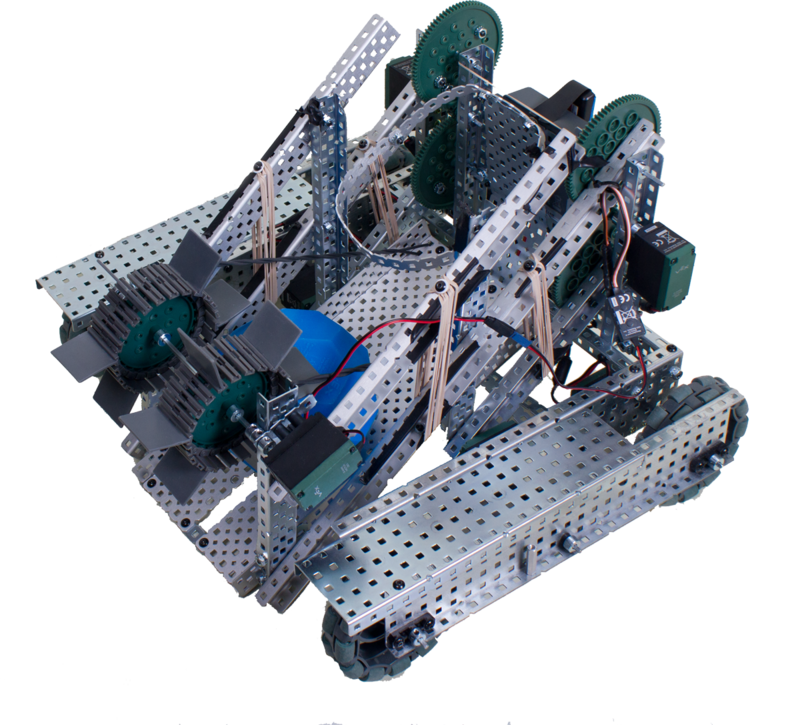 VEX Robotics Design System allows students to use endless combinations of approved parts to build and program robots to complete tasks that earn points during competitions. The robot size must not exceed 18”x18”x18”, and each year a new competition challenge is presented to participating teams. Working with VEX Robotics lets students explore science, technology, engineering and math (STEM) areas and develop real skills in mechanical, electrical, and electromechanical engineering, as well as computer programming. Most importantly, students learn how to work together to be successful. Competitions also include alliance formations where teams partner with other teams to accomplish as much as possible. The best teams end up at the World Championships. and compete with and against the best teams from around the world. Top teams from more than 400 VEX Robotics competition tournaments held in the past year were represented at the World Championship held in Louisville, Kentucky in April 2015. The event included more than 400 teams from China, Singapore, Hong Kong, South Korea, Mexico, Puerto Rico, and the United States, representing a diversity of high school robotics experiences. Framingham High School is the only Metrowest area high school that qualified and attended the World Championship.